Founded in 1732, Camden is our state's oldest inland town. Established by a decree from King George II, Camden started as a small backcountry settlement along the banks of the Wateree River – which at the time was about as far west as most Europeans would venture. Arriving in 1758, Joseph Kershaw, the county's namesake, gave the area a boost when he opened a mercantile in what he called "Pine Tree Hill." This fostered trade and lured others to settle in what is now known as the "Olde English District." Camden's advantageous position as a crossroad and trading post afforded it an important role in South Carolina's early history. The same qualities that made Camden ideal for commerce also attracted the English to use it as a strategic outpost during the Revolutionary War. Occupying the town for almost a year, the Redcoats built fortifications around Camden, some of which have been recreated at Historic Camden. 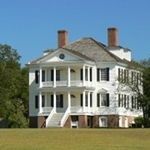 The Kershaw-Cornwallis House served as headquarters for General Cornwallis and dominates the area with its stately architecture. Following heavy losses in the Battle of Hobkirk Hill (April 25th, 1781), the English finally surrendered their hold on Camden, burning most of the town in their wake. After the turmoil of Independence, Camden quickly became one of our state's most prosperous towns. The milling and trading of wheat, and later cotton, provided the area with wealth and resources. In 1802, Camden had twice as many homes as Columbia – the state capital. By the 1820s, new locks and canals built along the Wateree River further eased trade with Charleston. Washington Monument architect Robert Mills designed two buildings in town: The Mills Courthouse (1826) and Bethesda Presbyterian Church(1822). During the Civil War, Camden once again played a valuable role, this time as a supply point and hospital center. Abe Lincoln's brother-in-law, Dr. G.R.C. Todd, worked here as a surgeon. Ultimately, like so many other towns in South Carolina, Camden did not escape the wrath of Sherman's men. In February 1865, many of its buildings were once again burned. But as before, the town persevered. By the end of the 19th century, Camden had been discovered as an attractive place to winter by wealthy northerners. Many elegant homes date from this period, and a passion in equine sports continues to this day. Springdale Race Course hosts the Carolina and Colonial Cups every year, furthering Camden's legacy of horse racing. While they are still not allowed on the sidewalks, it's clear that, like Aiken, this town loves its horses. Today, Camden continues to prosper. Tourism, industry, a welcoming lifestyle, and proximity to Columbia all make the town an inviting place to live. Recreational opportunities abound in nearby Lake Wateree and Goodale State Park. Downtown retains much of its historic charm, with over 60 buildings listed in its National Historic District. Not too large, or too small, Camden is a joy to visit. In addition, the surrounding countryside is home to unique communities like Boykin and Elgin.